Luckily all the hassle has been well worth it. We are now living in (what we consider to be) the most beautiful area of Berlin. 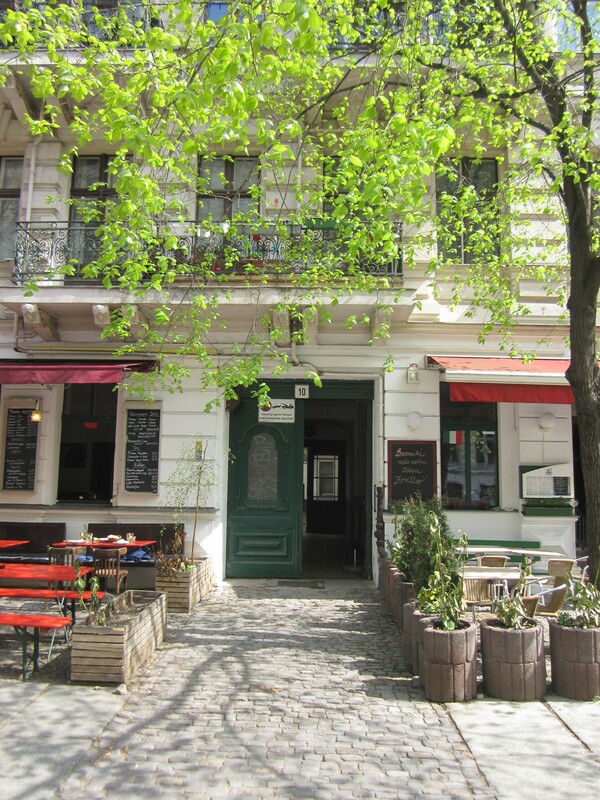 Our apartment is located right off of Kollwitzplatz on a street that is actual listed as an attraction in our Berlin guidebook! The building is altbau- meaning it was built pre-WWII. It has huge ceilings and our windows look out over a small courtyard. It also has a bedroom separate from the living area- which is not something that’s always easy to find in Berlin. Additionally, it comes with a built-in kitchen…oddly enough Germans tend to take their kitchen appliances with them when they move (everything: stove, fridge, sink, counters etc…). Often new tenants will have to buy a whole new kitchen set. Thankfully not us! In addition to having a kitchen the apartment came only partial furnished, so we did have to pick up a few things…a bed being the big one. Luckily Ikea is just a train ride away. Additionally we now live only a few blocks from the famous Mauerpark. Every Sunday a huge flea market is set up in the park and it always feels like the every one of the almost 4 million people who live in Berlin come to check it out every week. Neither Dave nor I are adept at bargaining, but we were able to pick up a few deals last Sunday. We got a couple of mugs, plates and vases, but our big pick up was two old Ammo Boxes made in 1940. They’re wooden and probably weight more than 20 lbs each. 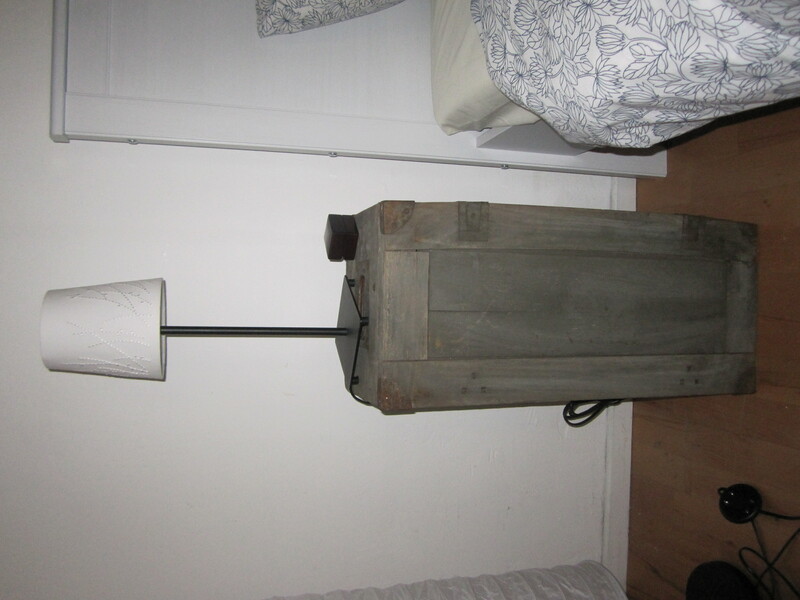 We decided to try our hand at being decorators and we re-purposed them as night stands. I love them- historical and chic.